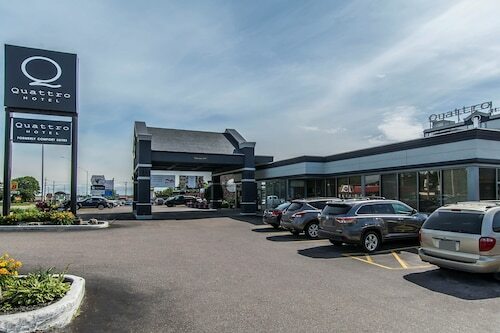 Located in Algoma District, this spa hotel is 0.4 mi (0.7 km) from Sault College and within 3 mi (5 km) of Sault Area Hospital and GFL Memorial Gardens. Ermatinger Clergue National Historic Site and Canadian Bushplane Heritage Center are also within 3 mi (5 km). 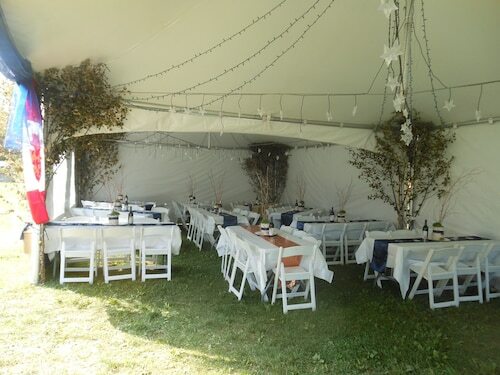 Located in Algoma District, this cottage is within 9 mi (15 km) of Sault Area Hospital, Sault College, and GFL Memorial Gardens. Agawa Canyon Tour Trains and Sault Ste. Marie Museum are also within 9 mi (15 km). Located in Algoma District, this eco-friendly hotel is within a 10-minute walk of GFL Memorial Gardens, Station Mall, and Agawa Canyon Tour Trains. Gateway Casinos and Sault Ste. Marie Museum are also within 15 minutes. 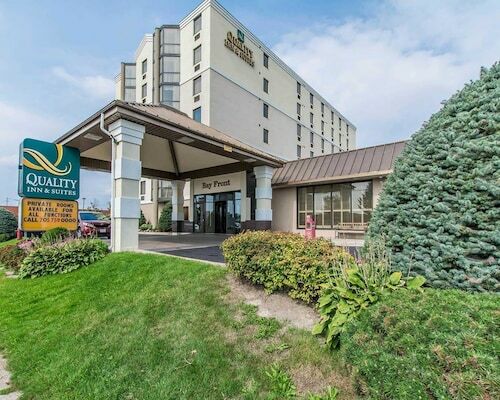 Located in Algoma District, this eco-friendly hotel is within a 5-minute walk of Station Mall, Agawa Canyon Tour Trains, and GFL Memorial Gardens. Sault Ste. Marie International Bridge and Sault Ste. Marie Museum are also within 1 mi (2 km). 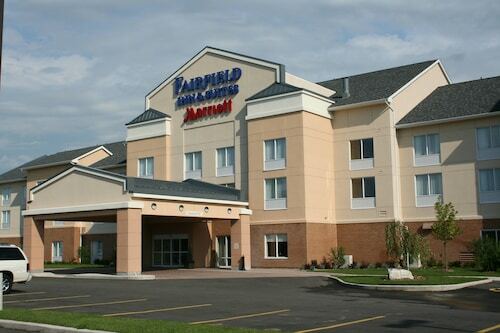 Located in Algoma District, this hotel is steps from Station Mall and GFL Memorial Gardens. Gateway Casinos and Sault Ste. Marie International Bridge are also within 1 mi (2 km). 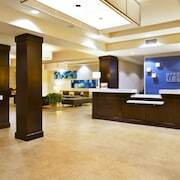 Located in Algoma District, this hotel is within 1 mi (2 km) of Sault Area Hospital and Sault College. GFL Memorial Gardens and Station Mall are also within 3 mi (5 km). Is your anniversary quickly approaching? Maybe you’re looking for the perfect honeymoon getaway? Or, has it just been too long since you and yours had some quality alone time away from the hectic schedule of everyday life? 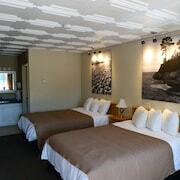 Take a steamy trip and stay at one of the most romantic hotels in Sault Ste. Marie. Remember the feeling of first meeting your significant other? You were nervous and excited. It felt like talking to your first crush on the playground. 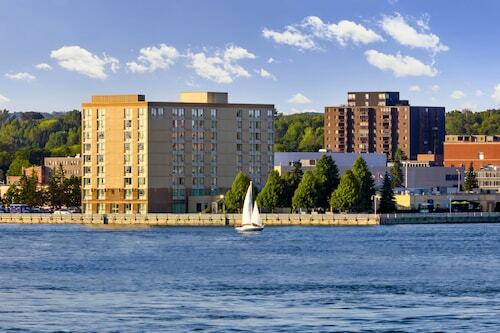 Re-ignite those feelings with an unforgettable stay to one of the Sault Ste. Marie romantic hotels. Treat your loved one to a perfect day with breakfast in bed, a day at the spa and then a sultry dinner at a top restaurant in Sault Ste. Marie. After dinner, take a moonlit walk through one of the city’s beautiful parks, because nothing says romance like a stroll under the stars. 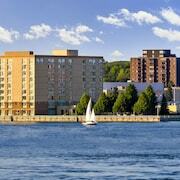 Whether you have been together for a few weeks or 50 years, the romantic hotels in Sault Ste. Marie are the perfect weekend getaway for you and your loved one. You’ll also be feeling affectionate toward Travelocity when you browse our vast selection of accommodations that cater to couples. 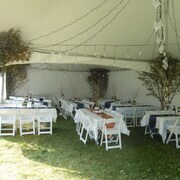 We have unbelievable deals on the best romantic hotels in Sault Ste. Marie, so you don’t have to worry about breaking the bank for your trip. Book now and let the honeymoon begin. 5.0 Luck of the draw! 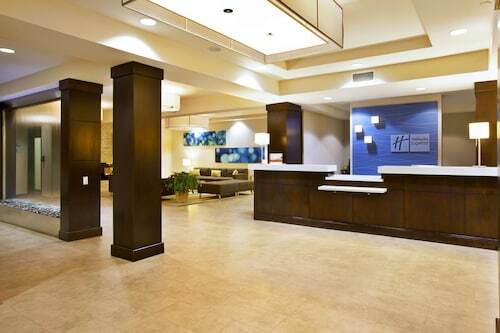 Picked this hotel from offerings on "Travel Advisor" and we're very happy we did. Very nice room and a very good restaurant ! Much better choice than on the American side! We upgraded to a premium room, but the bathroom floor was still a bit dirty. The rooms & hallways seemed in need of a refresh. I think we will look for a better deal when staying in the area again.